Recently, local media covered the story of Amelia Rivera, a young girl with Wolf-Hirschhorn syndrome reportedly denied a kidney transplant by a local hospital. 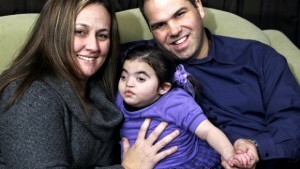 Amelia’s syndrome results in serious developmental delays, and according to her parents, the hospital declined a transplant due to her diminished mental ability and shortened lifespan. January 22, marked the 39th anniversary of Roe v. Wade, the Supreme Court decision that legitimized permissive abortion around the country. More than 45 million abortions later, the damage of that decision continues to grow — undermining our reverence for the life not just of unborn children but of the mentally and physically disabled as well. Now, more than ever, we should recommit ourselves to defending the dignity of all human life, no matter how “flawed” it may seem in the eyes of the world.